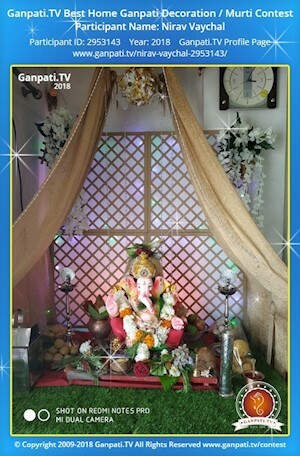 Ganpati.TV Gallery below has lots of Decoration Ideas and Pictures shared by our users, which we have showcased here. 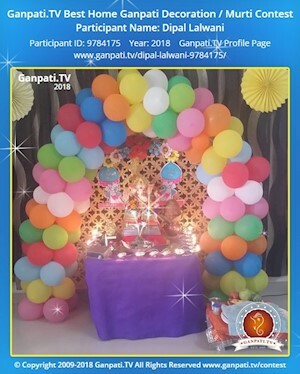 You can click on each image to open the users Ganpati Page. We can see how much creative each and everyone are when it comes to decorating their place for Ganpati every year. Creativity is seen in each and every picture below where so many things are used to decorate in different ways. Right from Ganpati Makhar to self made decoration concepts and themes and eco friendly methods. Decorative ribbons, gliters, makhar frames, wall papers, flowers, colorful lightings series, fresh flower garlands, colorful nets, eco friendly items, colored thermocol pillars and sheets, grass, water fountains, and many more items we can think of. Nowadays, everyone goes for eco-friendly Ganpati decoration ideas to help save our mother earth. 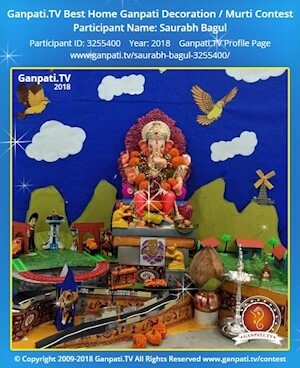 The pictures are also part of Ganpati Home Decoration Contest 2013, 2014, 2015, 2016 & 2017 as well. We hope you like the pictures from our users and appreciate their hard work. You can leave a comment on their Ganpati Page as well. 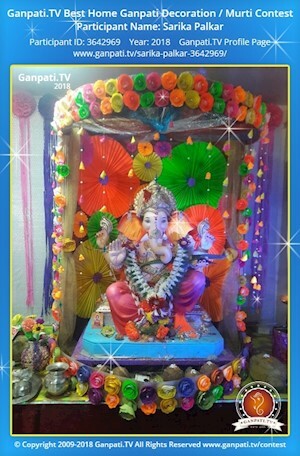 Ganpati Decoration Gallery with over 6,000 Unique Ganpati Decorations Ideas.